Thermoforming is a cost effective option in a wide range of applications for both prototype and short run production parts. With multiple tool production options, Proto Technolgies is well equipped to meet your project’s performance, budget and lead time requirements. Our Vacuum Thermoforming machine uses thermoplastic sheets up to 48″ x 72″ and up to 1/4″ thick. Tooling area is 43″ x 67″ with a 20″ draw. 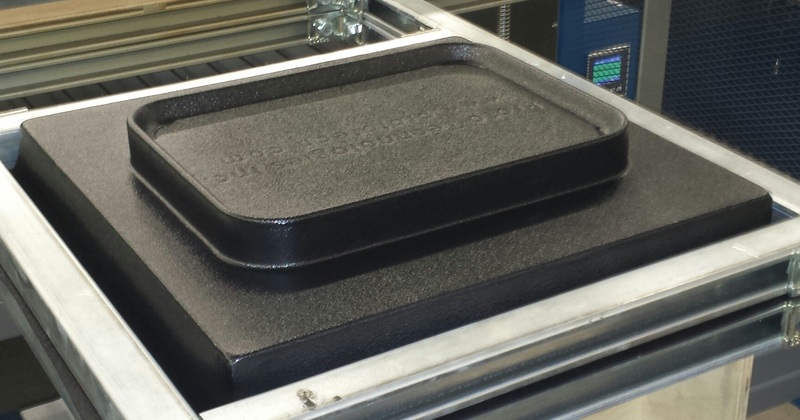 Molds can be 3D printed for fast part production or machined out of tooling board or aluminum for higher quantities. The best mold option for your application will depend on part design, quantities needed and required lead time. We can finish parts to any level required including routering, drilling, painting, labeling and more! Learn more about our finish levels here.